I told you guys I was going to torture you with puppy pics. Enter at your own risk. Raiden has been growing at a ridiculous rate. 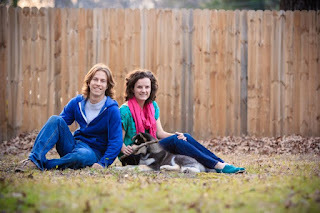 Even these pictures are a week or so old, and he's bulked up considerably since then. Almost at a pace of a pound a day!! 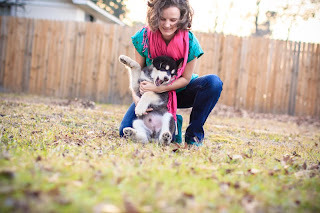 He's 26 lbs now and always growing. Probably one of the best behaved puppies I've ever encountered. Sharp as a whip too. He's already learned sit, lie down, stay and howling on command. 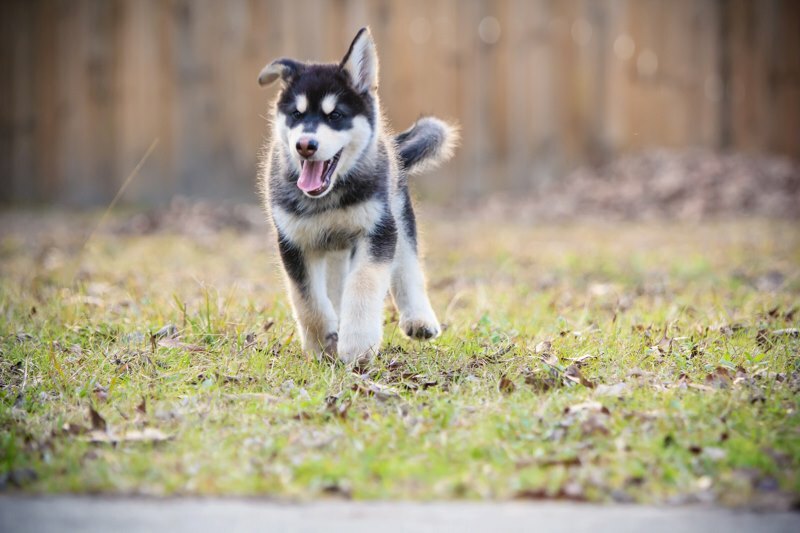 Bounding through the yard like a wolf. 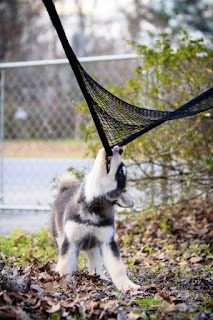 He loves playing tug of war with the hammock. Other than puppies and rough drafting, I've also been lucky enough to get my hands on some Lucky13 ARCs. 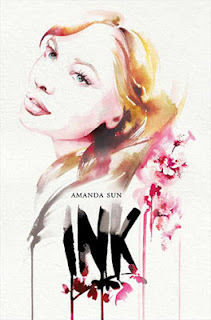 I just finished reading INK by my friend Amanda Sun. I'd been looking forward to this book for quite a while. It's set in Japan, and while I've never been there, I've spent a good amount of time in Asia and loved it. The storyline involves ink drawings that come to life, and it's so vivid and lovely. There's even ink sketches inside the book (a few of them form flip drawings!). Definitely add this one to your to-read list. I was so inspired by the descriptions of cherry blossoms inside its pages that I had to draw some myself! INK is on my TBR list too and one reason is because I currently live in Asia :) Keep the puppy pictures coming! Thanks, we love our puppy for sure. I lived in South Korea for a year and spend some time in Cambodia and Thailand, so Asia is very close to my heart! I love that continent.